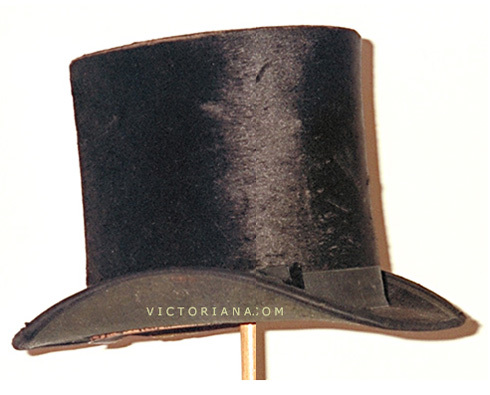 This late Victorian top hat has a narrow turned-up brim and a tall cylindrical crown. This style hat was worn for dress and was usually covered with beaver or silk. The top hat was also called a high hat. 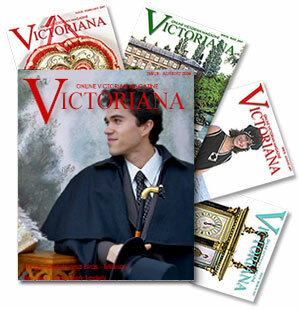 Vintage clothing enthusiasts can read about vintage and Victorian top hats. The straw boater was the rage in the late 19th and early 20th centuries. Men of all classes appreciated the light, cool, comfortable qualities of the straw hat. Traditional styles of Victorian men’s vests are featured. Illustrated are the Victorian gentlemen’s Dress Vest, Double Breasted Men’s Vest, Step Stand Men’s Vest, and No-Collar Men’s Vest.